I love the BMW R1200GS Adventure. But this bike is just too big for me. 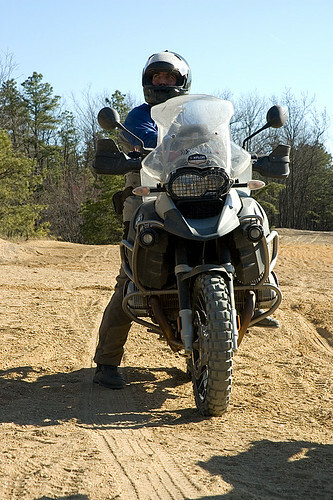 This was one of the riders of the BMW XPLOR the Pine Barrens event in New Jersey last year. I spent more time riding than taking photos but this was one of my favorites. By the time my group arrived at this sand pit where Jimmy Lewis was giving instructions on how to ride your BMW motorcycle through the New Jersey sand I was ready for a break.